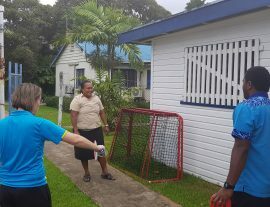 Badminton being a little sport in Fiji and competing against rugby, netball and volleyball, the sport has minimal to zero awareness around the 300 plus islands around the country. 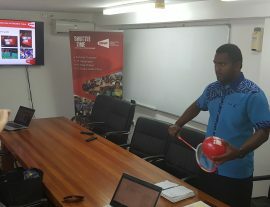 In this project, Fiji Badminton aimed to use BWF Shuttle Time Schools Programme as a tool to establish a better working relationship with the Fiji National Sport Commission (FNSC) and the communities to create a huge impacts on kids and youths who had other preference in them of sport they play. 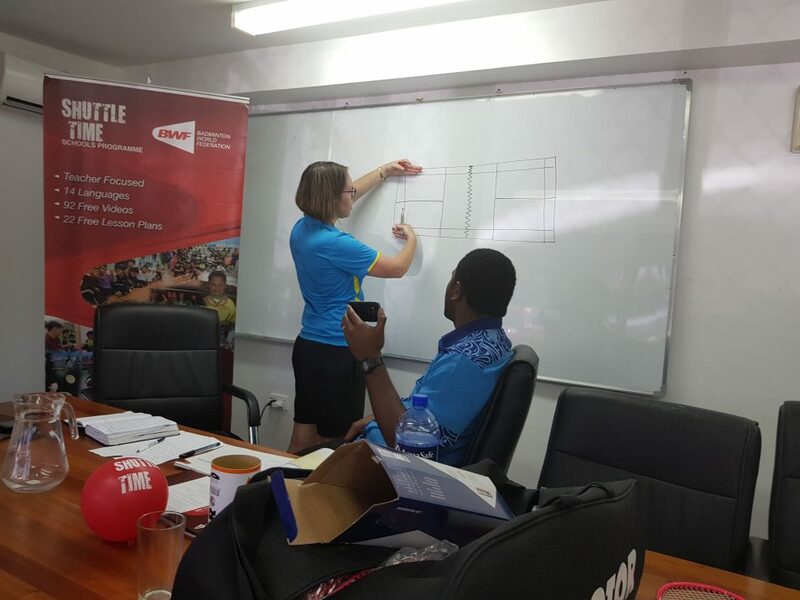 Assist and help the Governance structures around Fiji Badminton with the main focus on the Executive Board. Creating good relationships with Fiji National Sports Commission, FASANOC, ONOC, Paralympics and Special Olympics. Being connected and planning together makes a lot work easier and ensures to reach the right audience. This is the triple ripple effect Fiji Badminton intend to achieve and create waves of changes across the three areas and providing the required support. 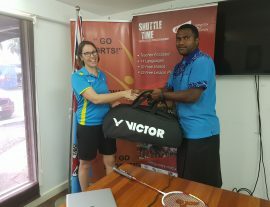 At this stage, Fiji Badminton focus is the building on current capacity and existing programs to enhance The BWF Shuttle Time programme as well as improve the standards of Fiji Badminton at all levels. 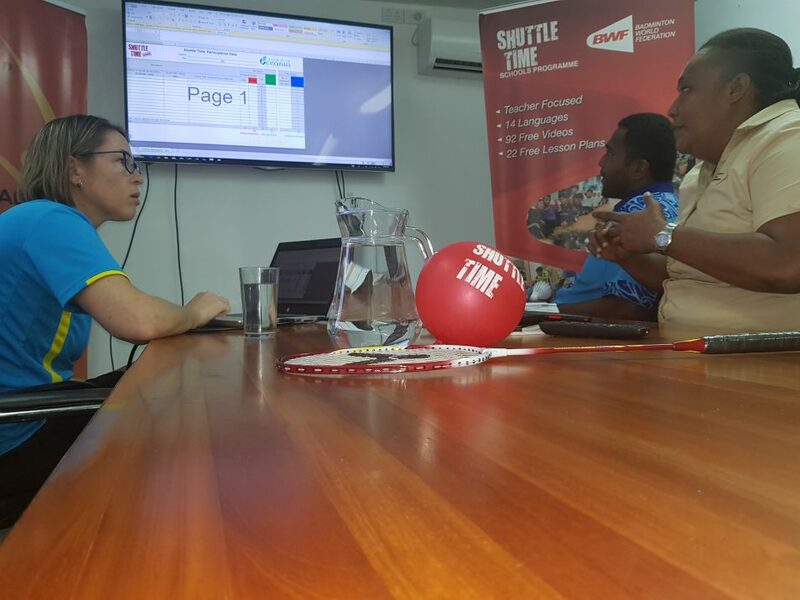 In 2018, the BWF Shuttle Time courses had been delivered in three area: Vaturavo, Ba & Suva. 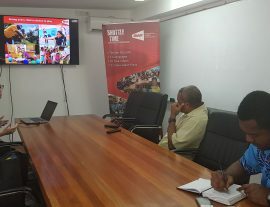 This involved a lot of planning, networking and adjustments of plans so that it suited the need of the communities and audience targeted. Each delivery session was thoroughly reviewed to ensure that intended outcomes was achieved. The method of delivery was also adjusted so it made sense and allowed for learning to take place. At this stage connecting and planning together played an important role in the successes this far. Additionally, the flexibility of the role and having supporting managers from BOC made it easy to deliver and harness the creativity within. 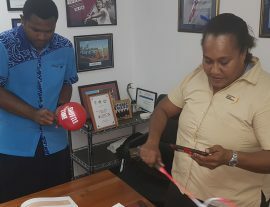 A great start for Fiji and will continue the linking and strengthening of connections with relevant partners. 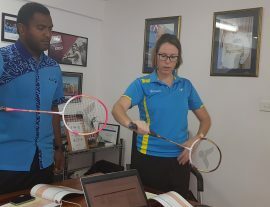 “As an OSEP Educator running Sports in Community Administrator (SIC) & Community Coaches & Official is also part of my commitment to FNSC so my examples for this generic courses is always taken from Badminton. 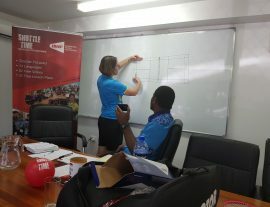 This has helped expanded the “know what” “know why”& “know how” for this sport,” said by Kumon Tarawa, BOC Regional Development Officer.